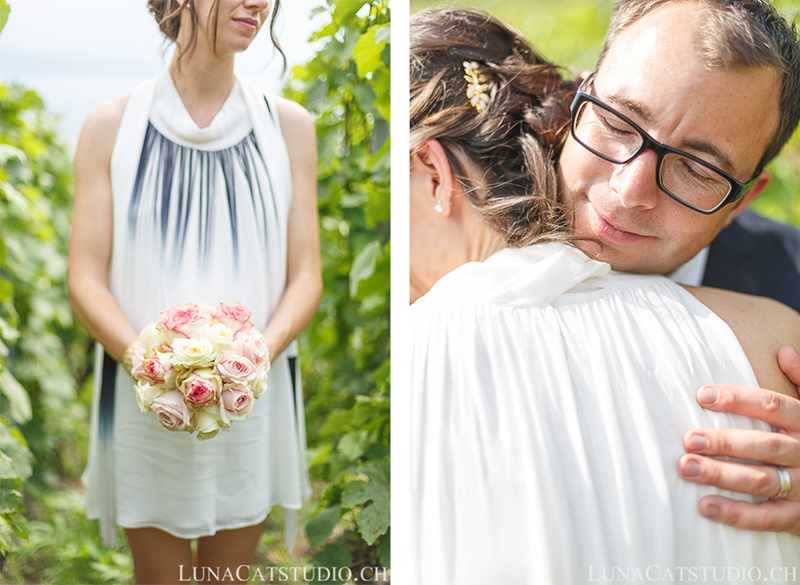 Elise and Antoine make a stunning and beautiful couple that you had discovered during their engagement session in Lausanne. 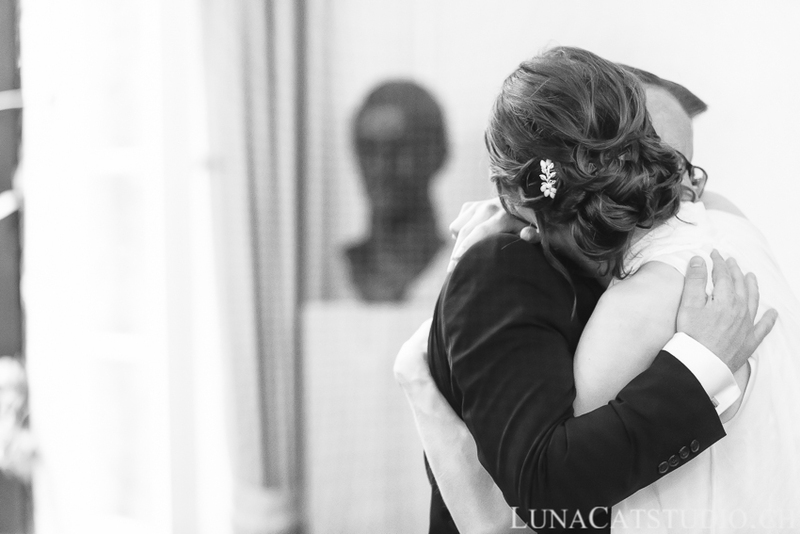 Some days after the engagement session, it was time for the great moment with their wedding that I had the pleasure to document. 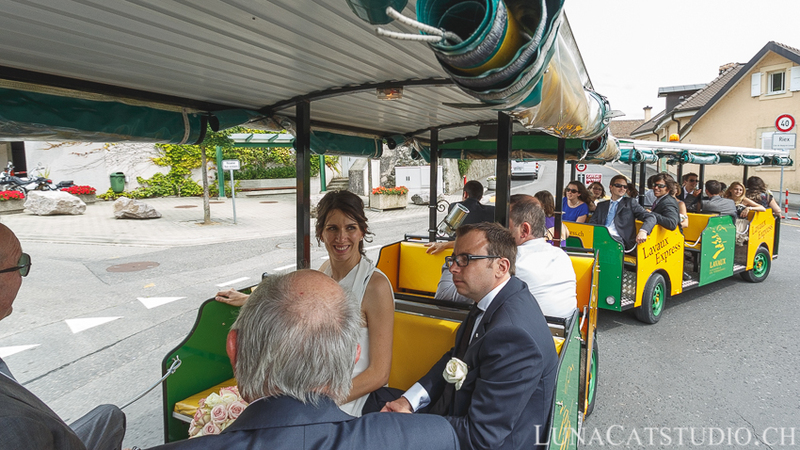 In fact, Elise and Antoine’s wedding was done on two days, the first being the civil ceremony in Pully, while the scond day was a garden party organized by the groom’s parents for everyone to enjoy this great wedding. 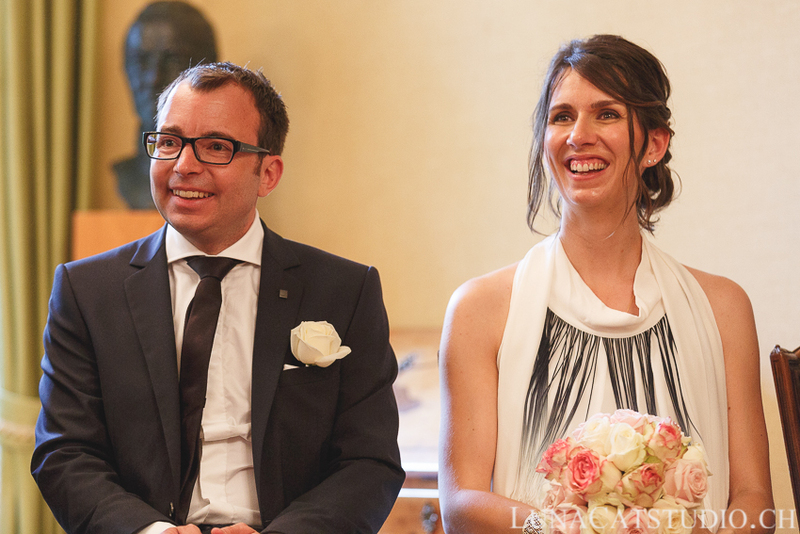 The meeting was in front of the Pully wedding room for the civil ceremony of Elise and Antoine. 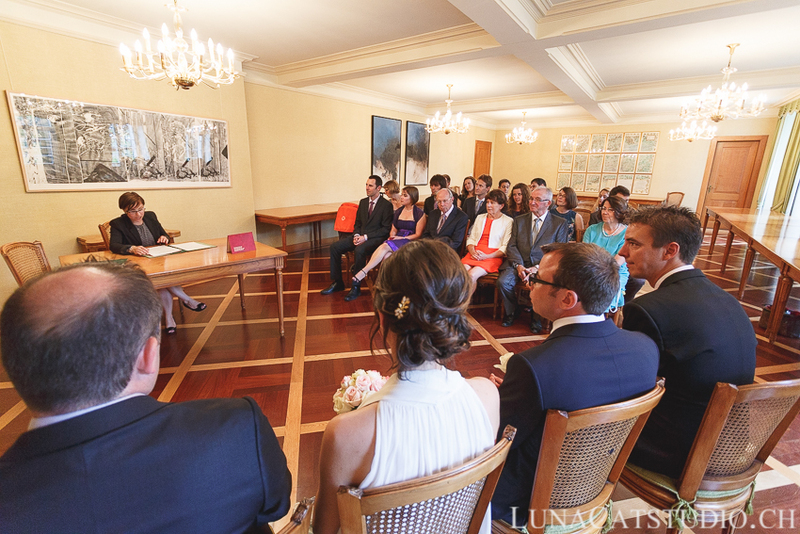 The ceremony was joyful and filled with emotions with Elise’s family coming from France for this event. 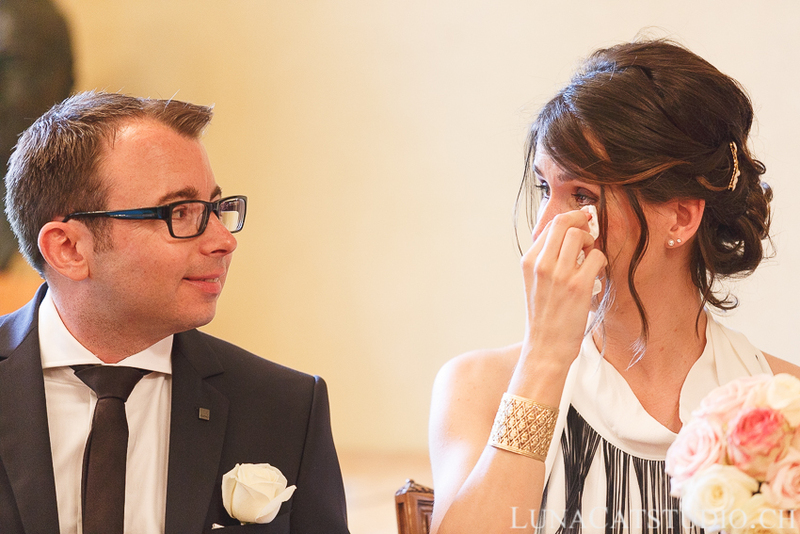 Joy and tears, it was the perfect mix for a great ceremony and pictures. 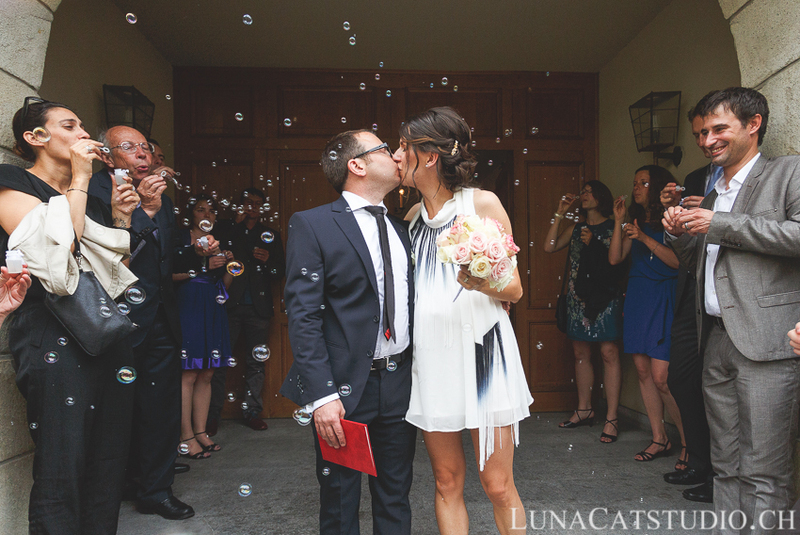 Bubbles were waiting for the newly weds to get out of the wedding room for this magical moment in their couple life ! 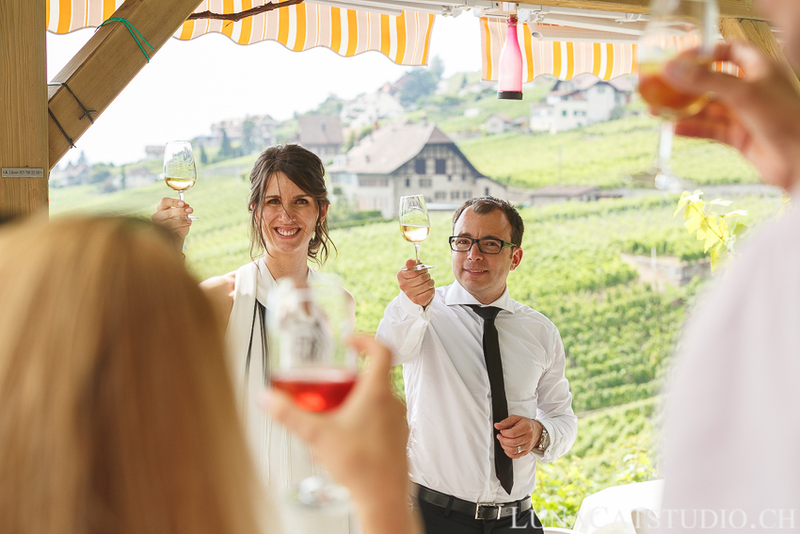 The bride and groom made a surprise to their guests so that they could have a nice idea of the Lavaux vineyard. 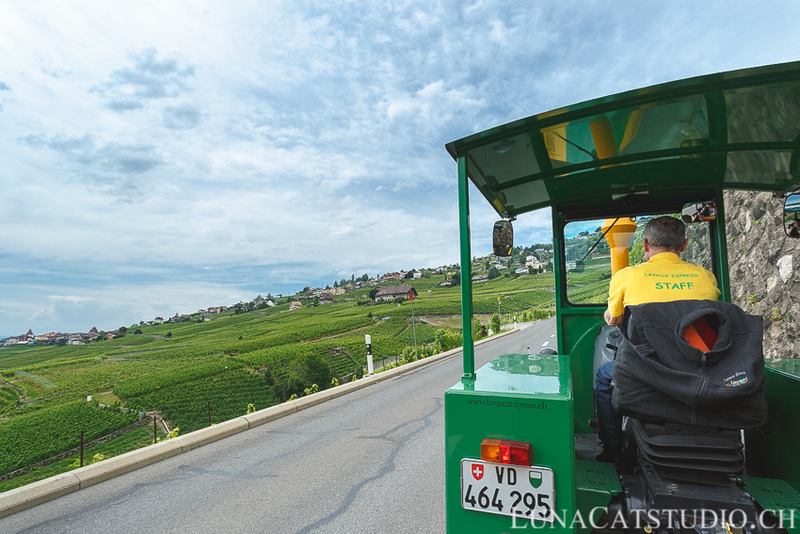 This is with the small touristic train Lavaux Express that everyone got to the apero destination departing from Cully. 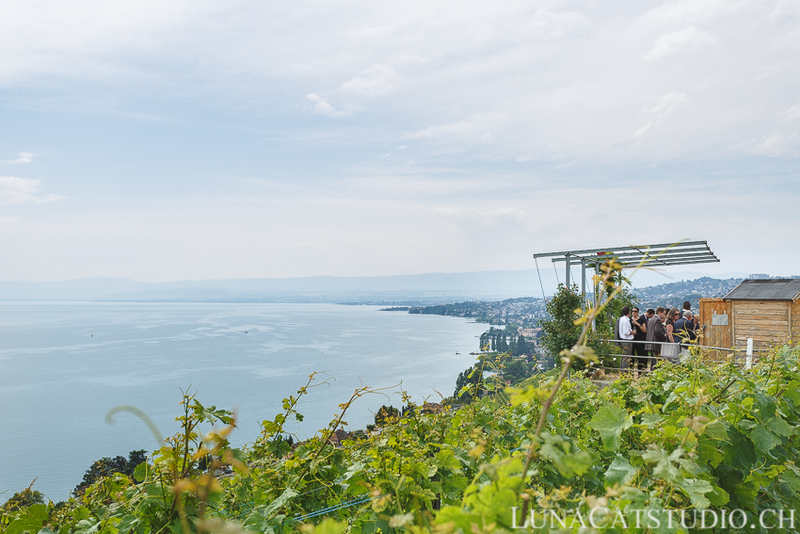 A small break was held to drink a glass of wine and enjoy the wonderful view over Lausanne, the Geneva lake and the Lavaux. 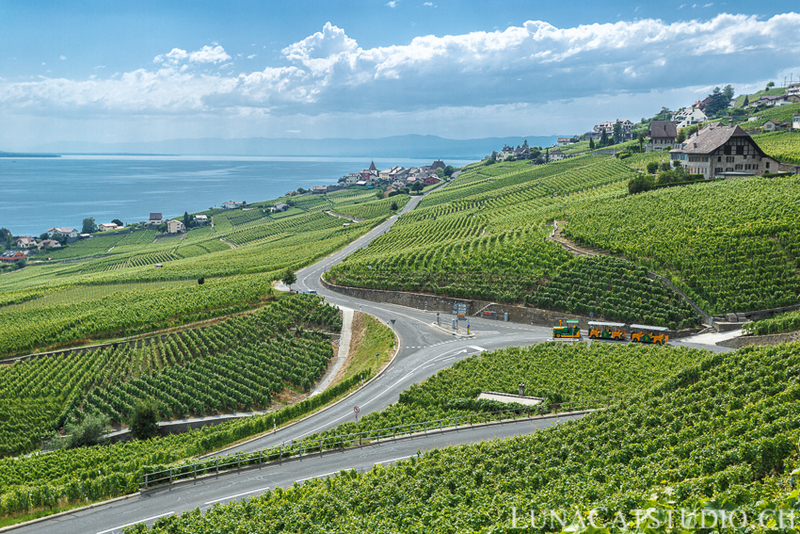 then, it was time to go back on the train Lavaux Express to reach the apero location in Chenaux where the view over the Lavaux region and Geneva lake was still breathtaking. 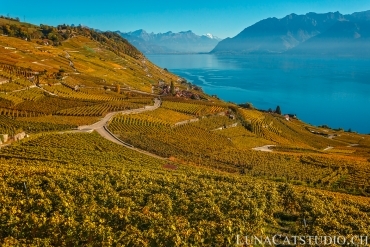 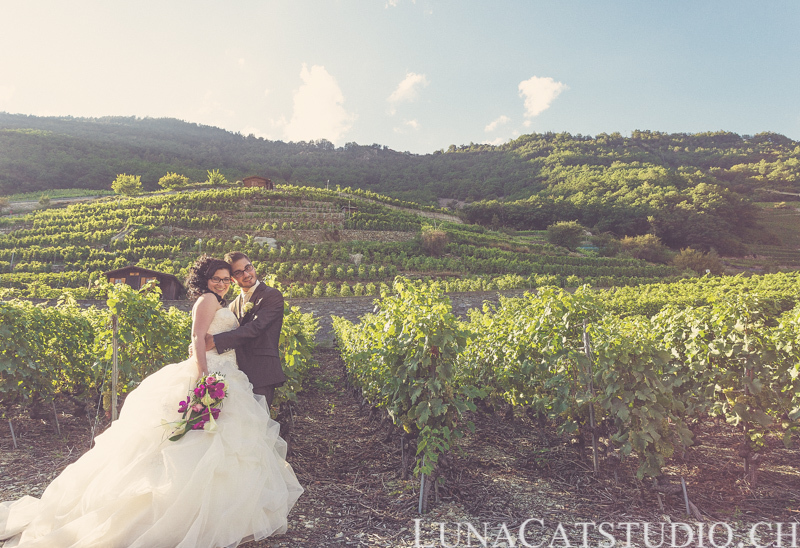 Of course, we enjoyed the wonderful scenery of the Lavaux vineyard to take some couple photos with beautiful sunlight. 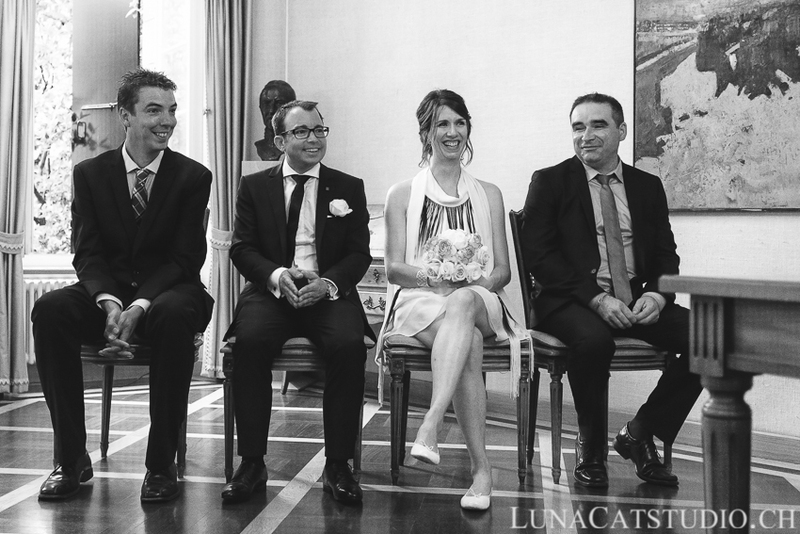 A gorgeous bride and a wonderful couple in love, there was nothing more needed for a wedding photographer to enjoy those moments of happiness. 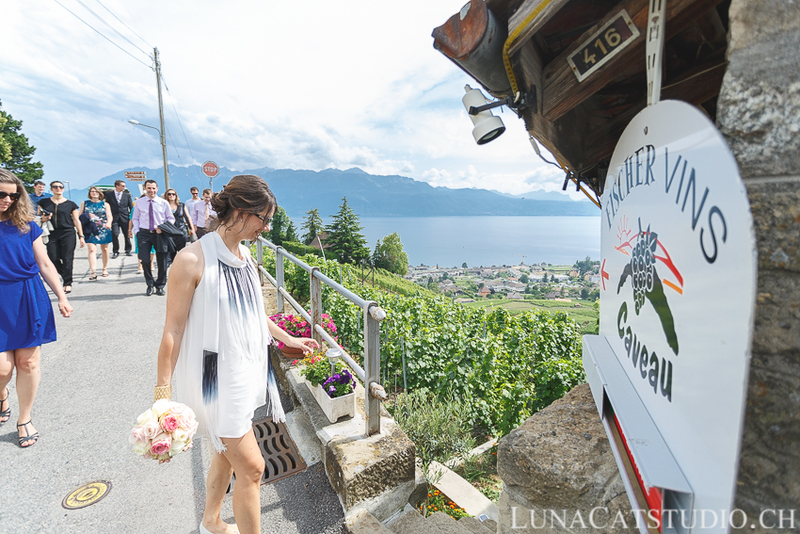 It was time to go back down to Cully with the small Lavaux Express train and to Lausanne for the wedding reception held in the Café des Mousquines. 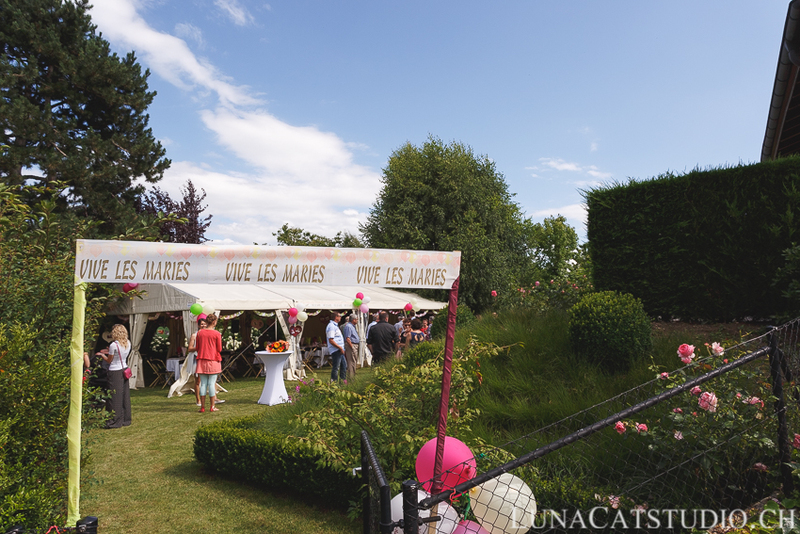 A small apero was held before the guests went to the wedding reception room. 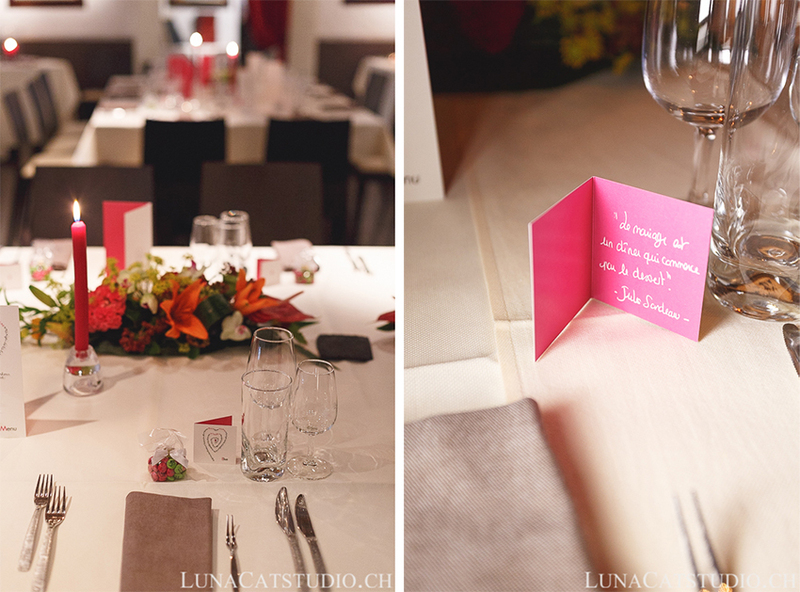 The table decoration was done with finesse by Elise with special personal love quotes for each guest. 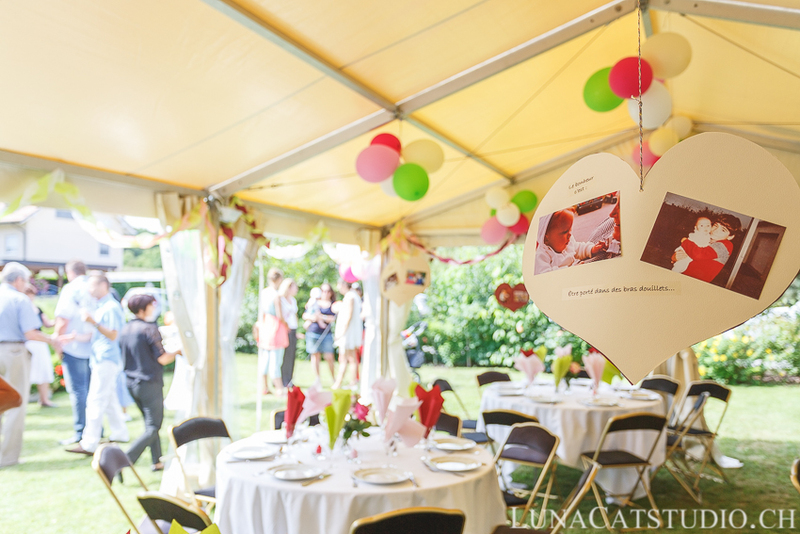 That was a wonderful decoration that got everyone sharing their personal notes about love around the table. 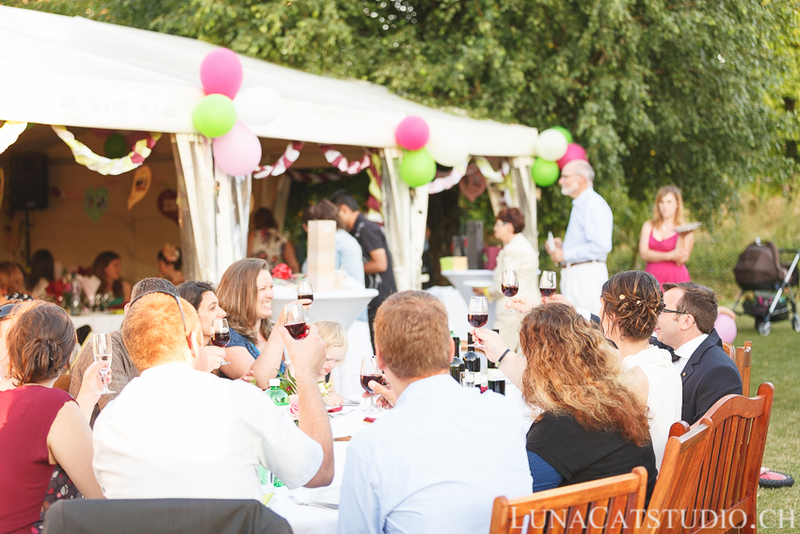 The day after, it was in Prangins that the wedding garden party was organized by the groom’s parents. 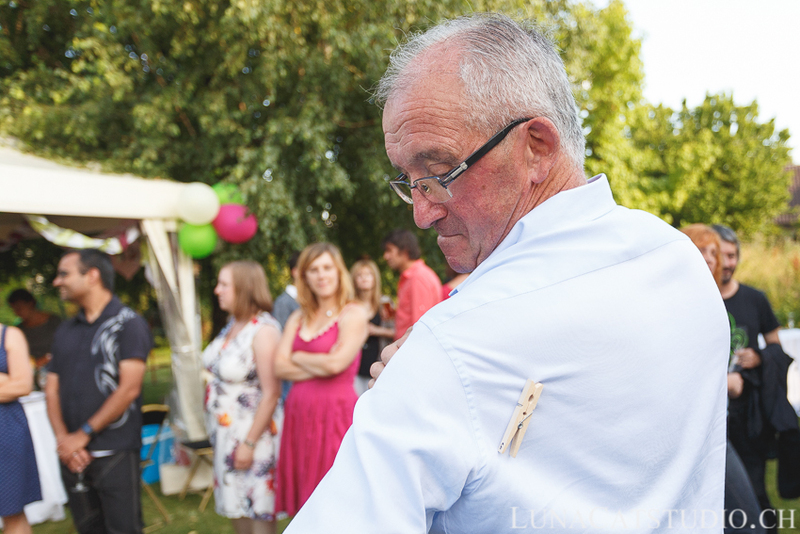 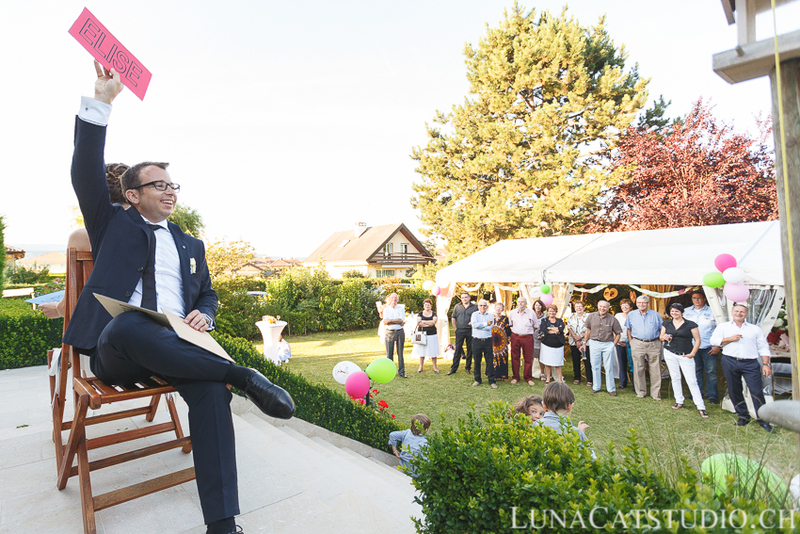 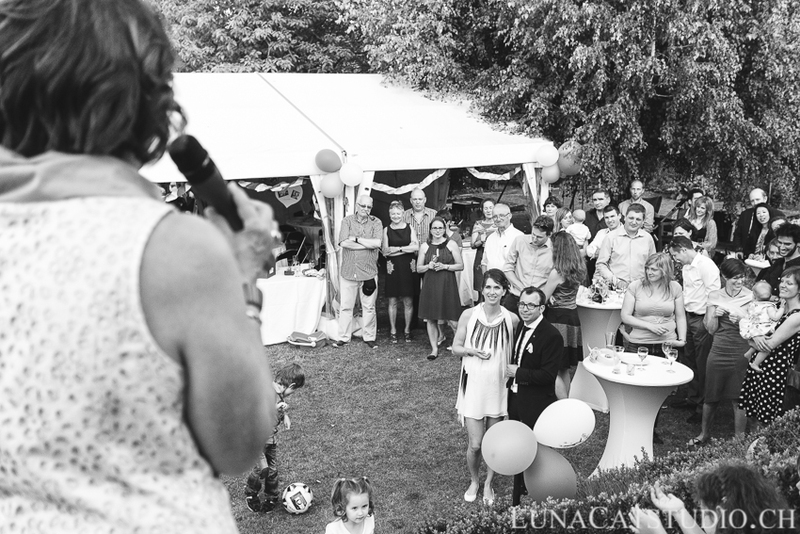 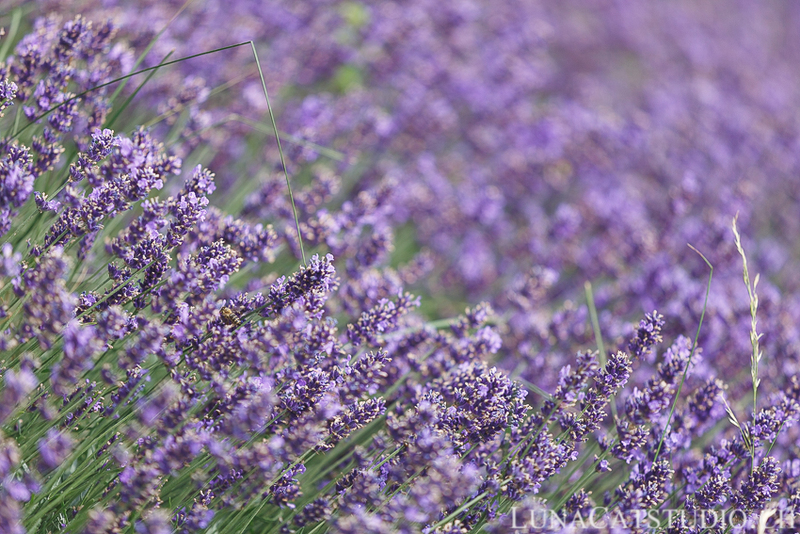 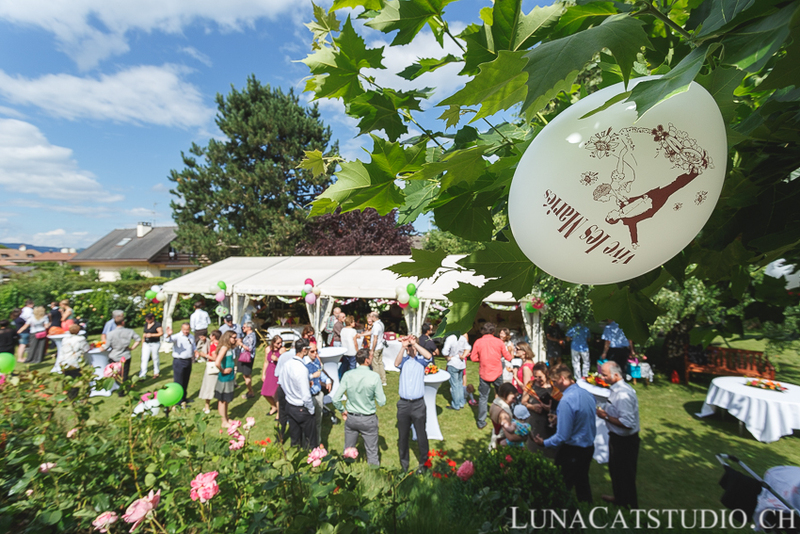 As soon as you arrived on location, you could not ignore the garden party purpose! 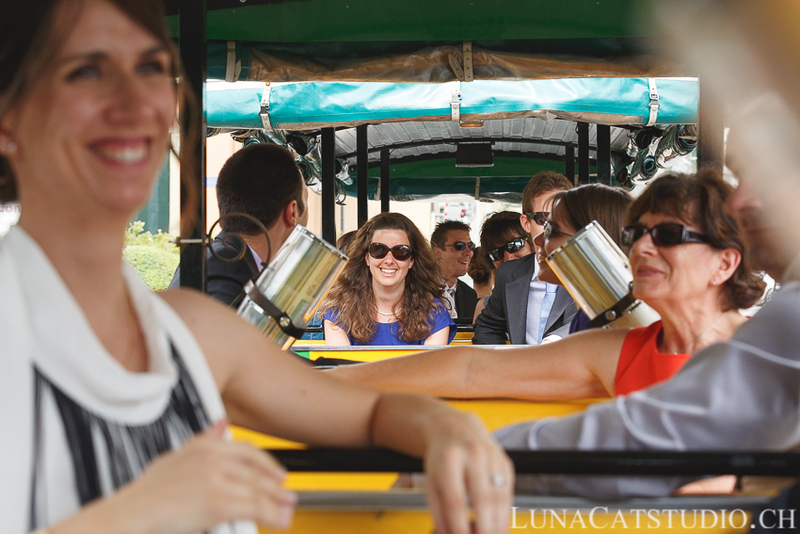 Everything was wonderfully organized so that everyone could enjoy the moment and celebrate this wonderful wedding. 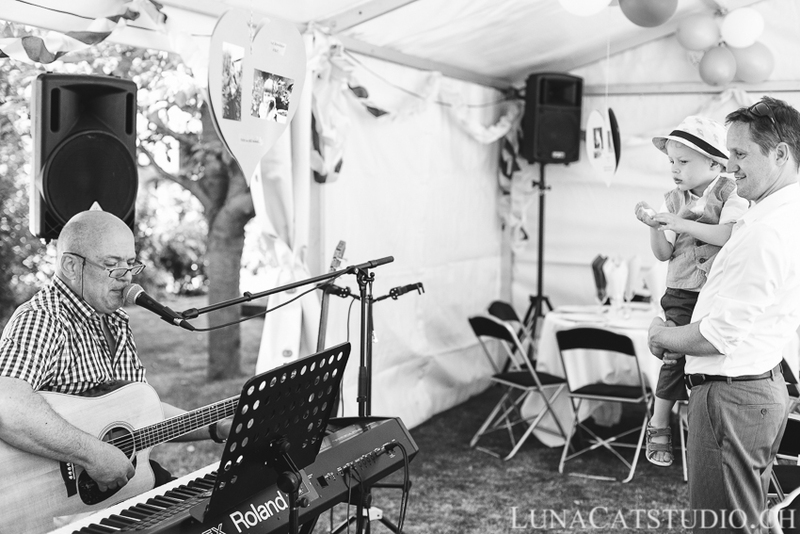 Children also got a wonderful time in this gorgeous garden, with music by Gerberito. 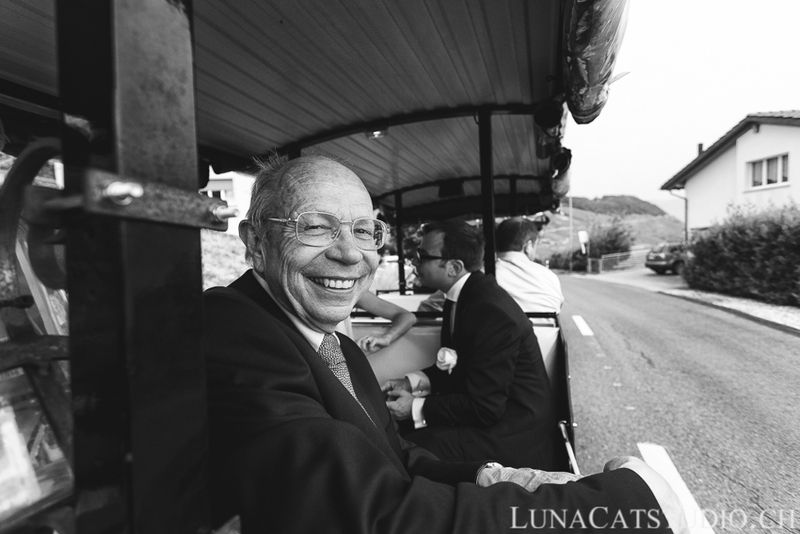 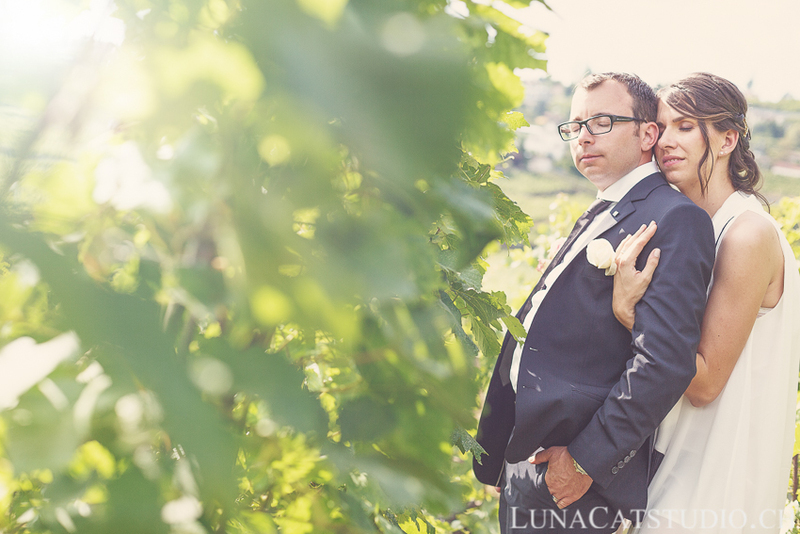 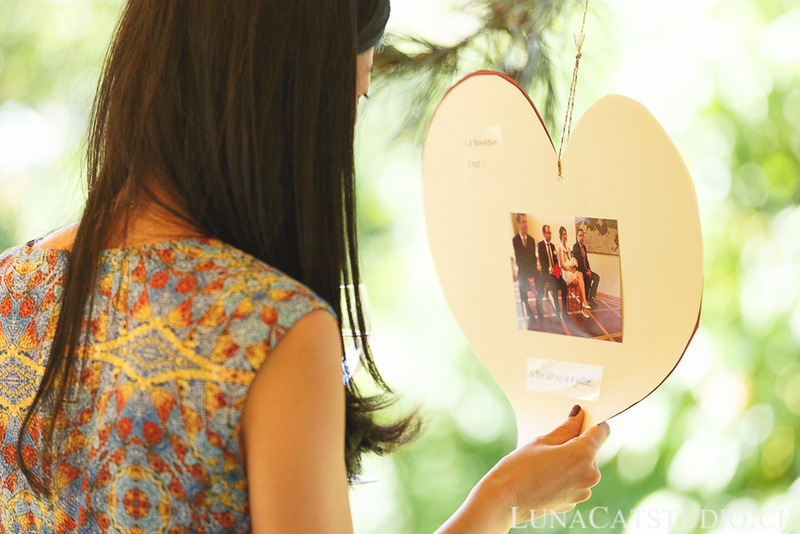 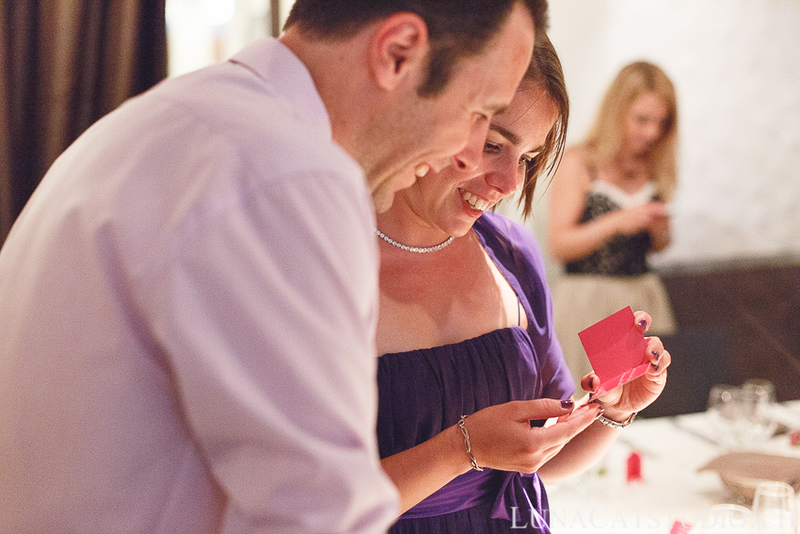 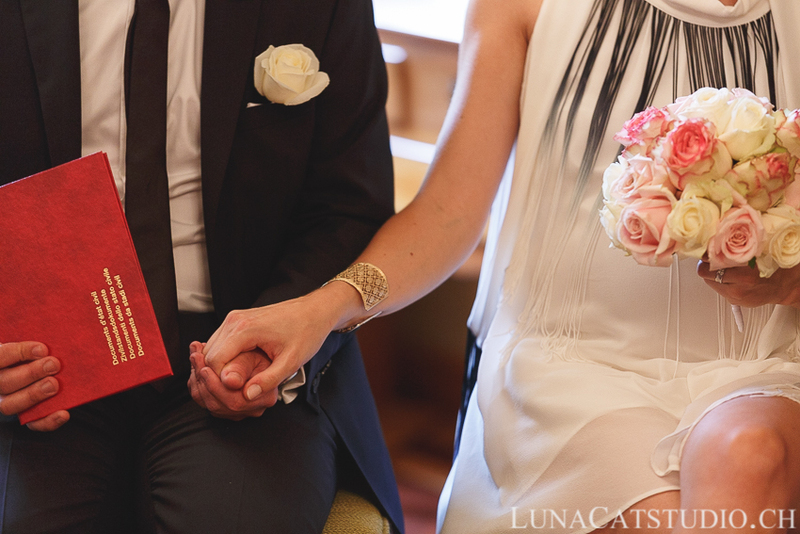 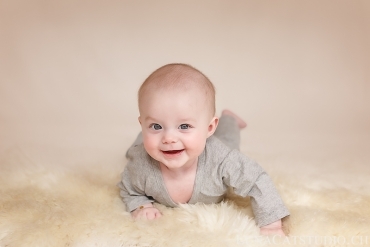 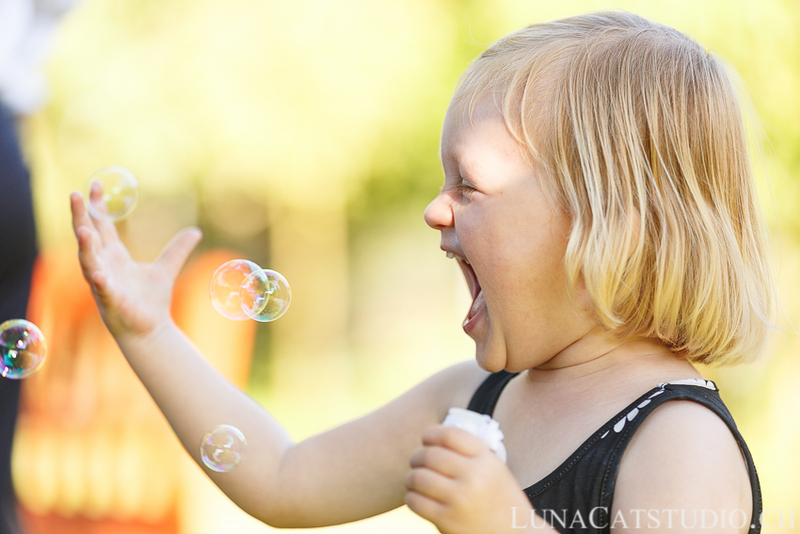 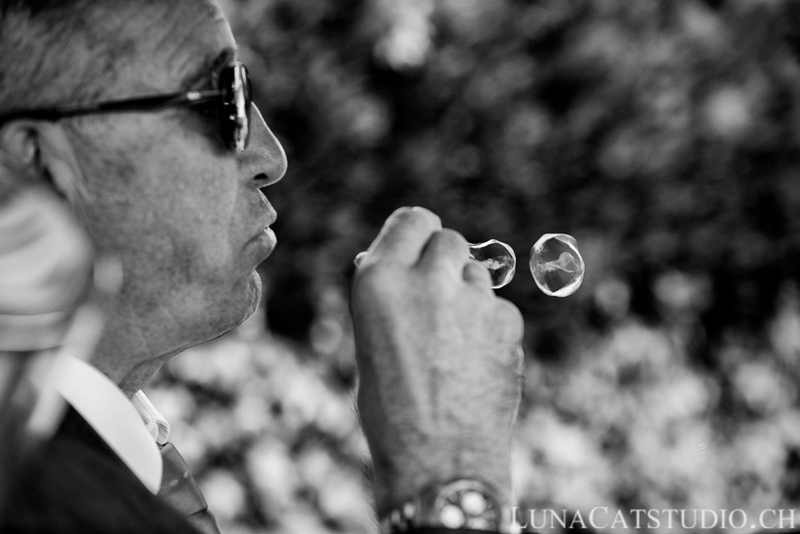 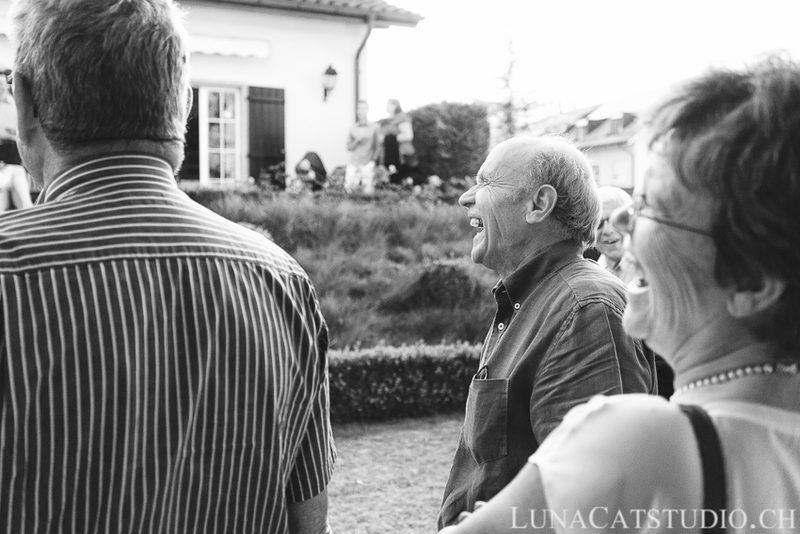 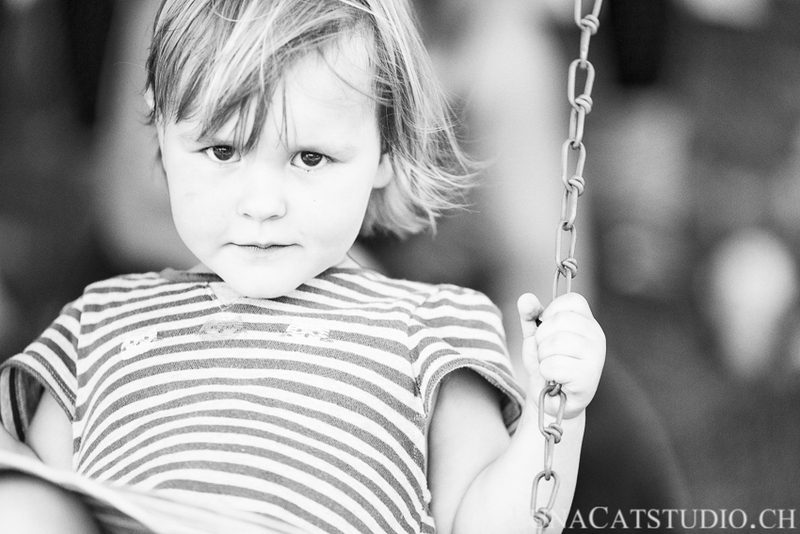 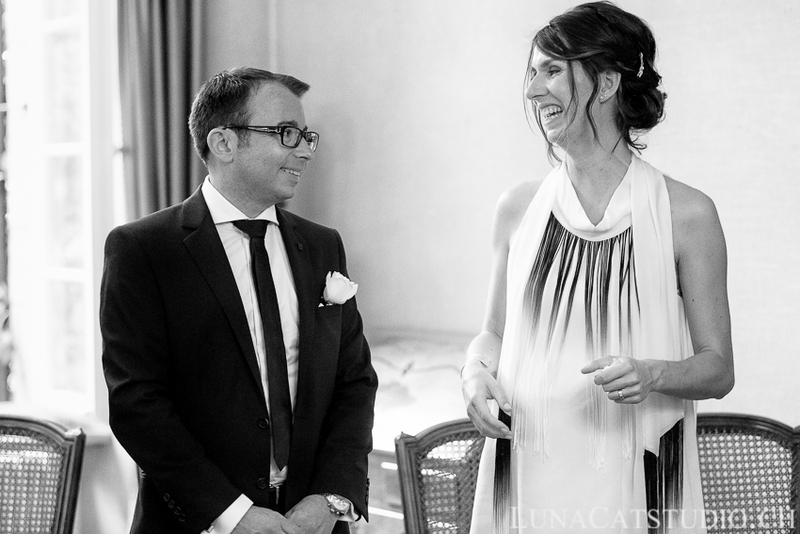 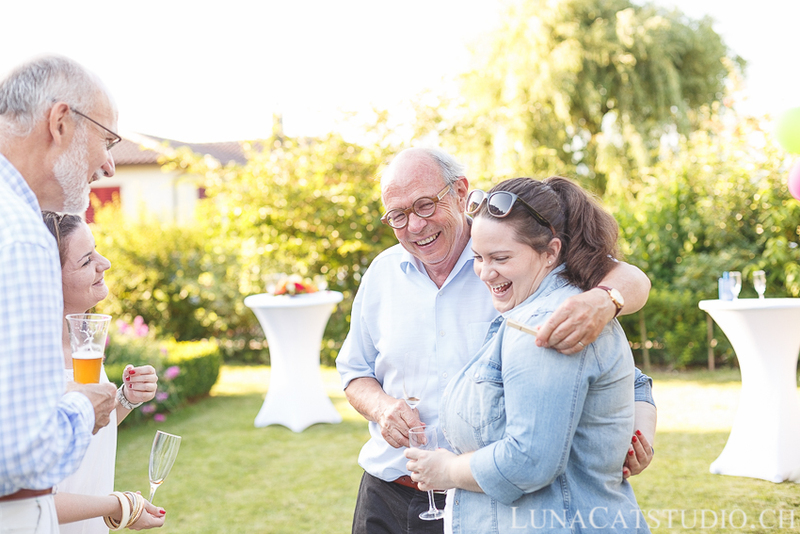 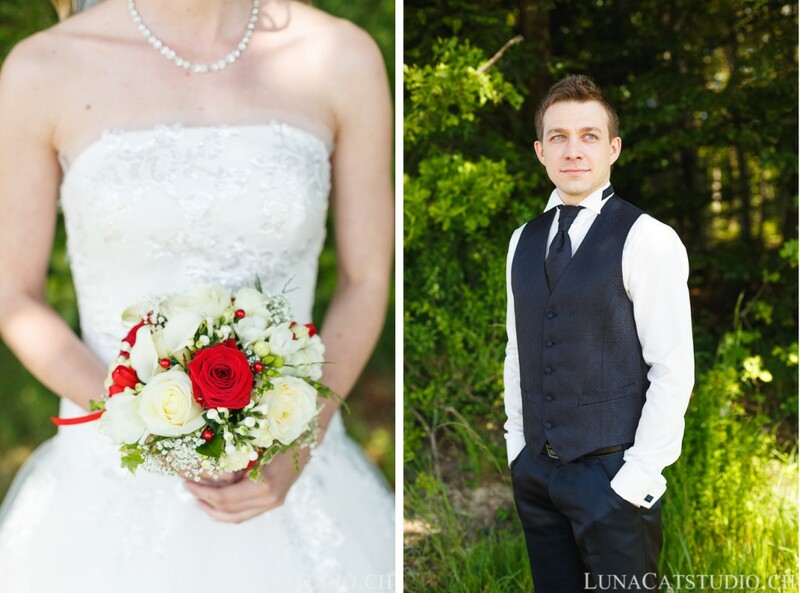 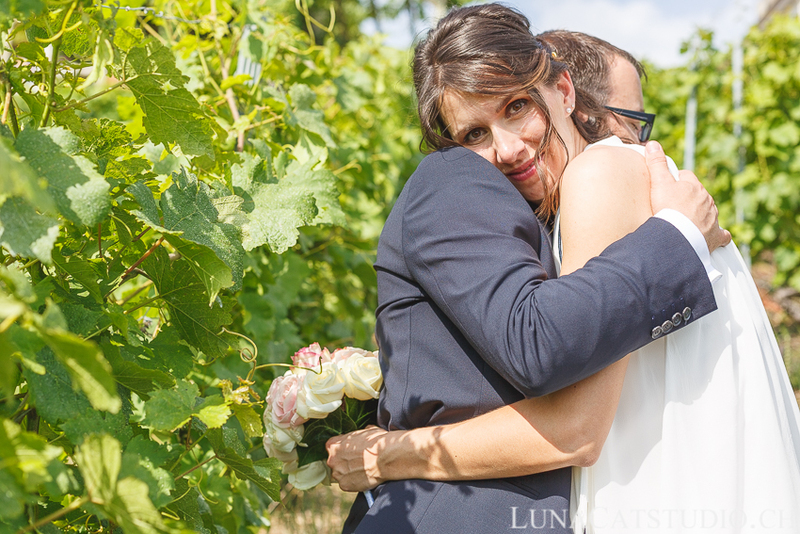 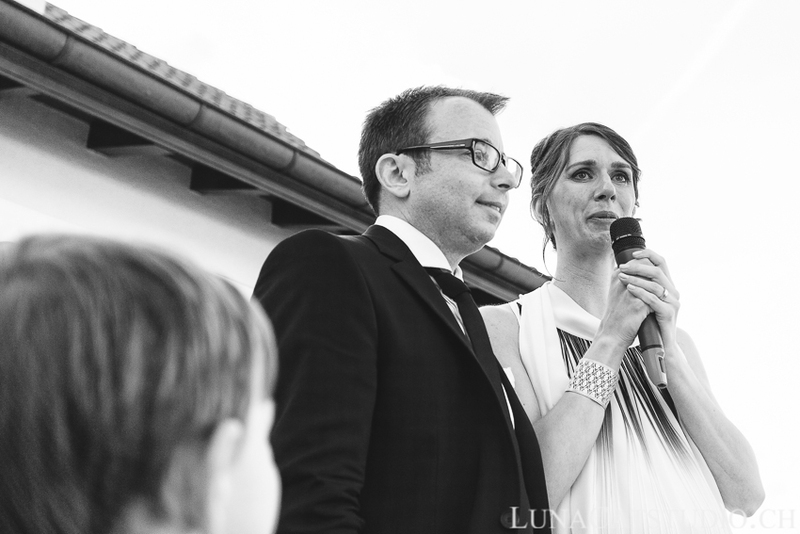 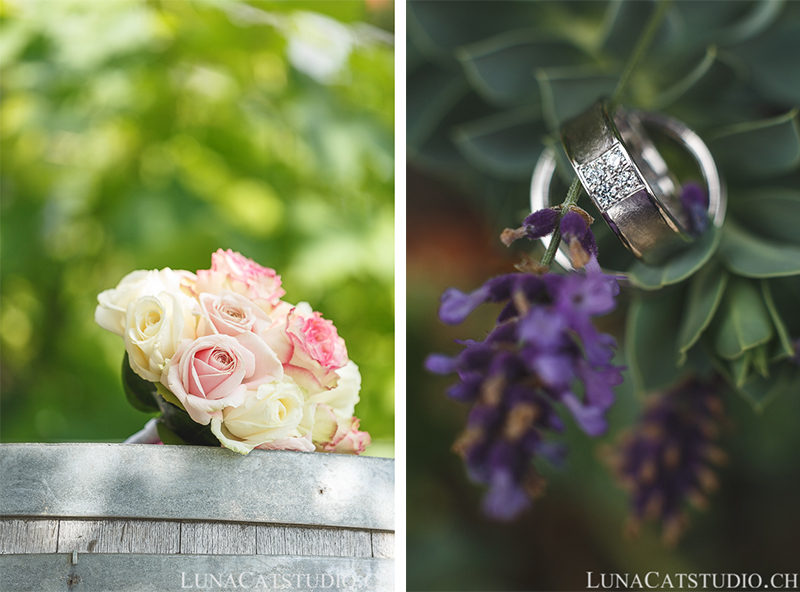 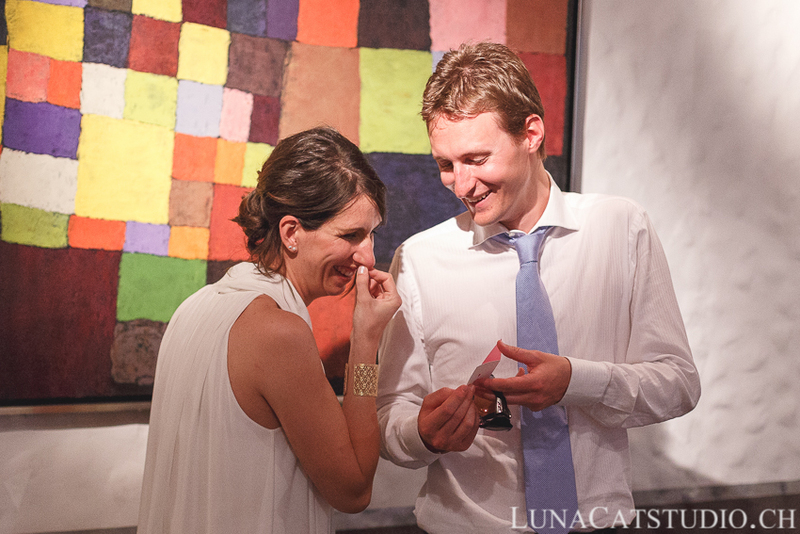 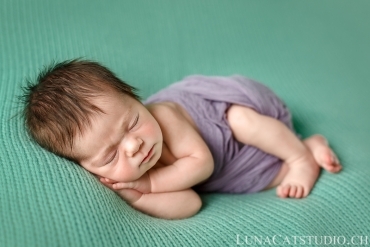 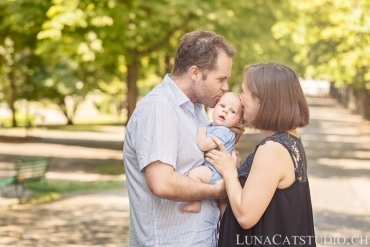 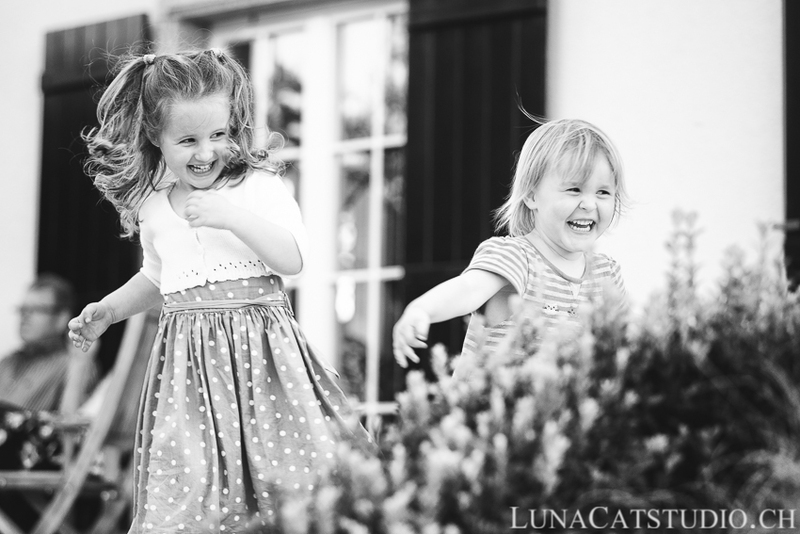 Follow LunaCat Studio on Facebook – Google+ – Twitter – Pinterest for future news about our wedding photography.